The primary purpose of the site is to act as a jumping-off point for various philosophy papers I've written or intend to write, together with providing access to various databases I've been compiling. Follow the Philosophy link for these. Most of the new stuff I'm writing is in the form of Notes - items of text of varying length hyperlinked together (and to the various books and academic papers in my possession) by cunning routines of my own devising. The Notes by category can be accessed via the following jump-table. Notes that have been added or changed recently can be found quickly by interrogating the jump-tables for changes in the last seven, fourteen or twenty-eight days. These pages also show those Papers & Books I've read or remarked on during the corresponding periods. From July 2007 - November 2013 I wrote what might pass for a Blog, though it seems to have been mostly dormant since then. The site also contains a number of items I wrote before undertaking formal study of philosophy in 2000. I'm naturally less enthusiastic about these now than I once was. However, if you want the views of an opinionated autodidact, follow the Old Papers link. To get to the somewhat briefer "personal" contents of the site, click on one of the menu items above. I'm supposed to be working on the Photos page as a background task. 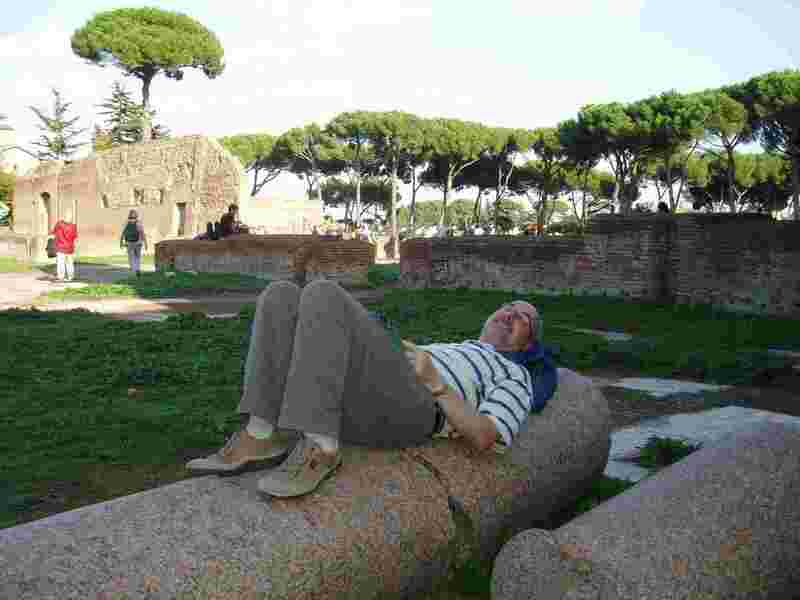 The photo on the right is of me resting after a long trek to the Palatine Hill, Rome. This is the closest I've come to being a stylite.